66 x 52,7 cm - 25 15/16 x 20 11/16 in. Atelier Degas - Durand-Ruel & Cie, Paris, février 1902 (Stock n° 6950) – Durand-Ruel & Cie, New York, décembre 1912 (Stock n° 3585) – Miss Lillie P. Bliss, New York, janvier 1913 – New York, Museum of Modern Art, 1931 – Mme Charles Suydam Cutting, New York, mai 1942 – Wildenstein & Co., New York – Benjamin E. Bensinger, Chicago – Vente Londres, Christie’s, 15 avril 1975, n° 30 – Somerville & Simpson, Londres – Norton Simon Museum, Pasadena, 1975. New York, Armory of the 69th Regiment, 1913, n° 1013 puis Chicago et Boston (New York seulement) – New York, Metropolitan Museum, 1921, n° 33 – New York, Museum of Modern Art, 1931, n° 60 – Andover, Addison Gallery, 1931, n° 39 – Indianapolis, John Herron Art Institute,1932, n° 36 – New York, Museum of Modern Art, 1934, n° 26 – Paris, musée de l'Orangerie, 1937, n°127 – Newark Museum, 1946, n° 51 – New York, Rosenberg & Co., 1953, n° 7, repr. p. 27 – Newark Museum, 1954, n° 5 – New York, Paul Rosenberg & Co., 1957, n° 15 (repr.) – Utica, Munson-Williams-Proctor Institute, 1963 (Exposé aussi à New York, n° 1013) – New York, Wildenstein & Co.,1965, n° 44 – New York, Wildenstein & Co., 1970, n° 63 – Phoenix, 1975 [en prêt] – Washington, San Francisco, 1986, entre les numéros 18 et 33 de la 8ème exposition de peinture, Paris, 1886 - Londres, National Gallery, 1996-1997, cat. 48, repr. 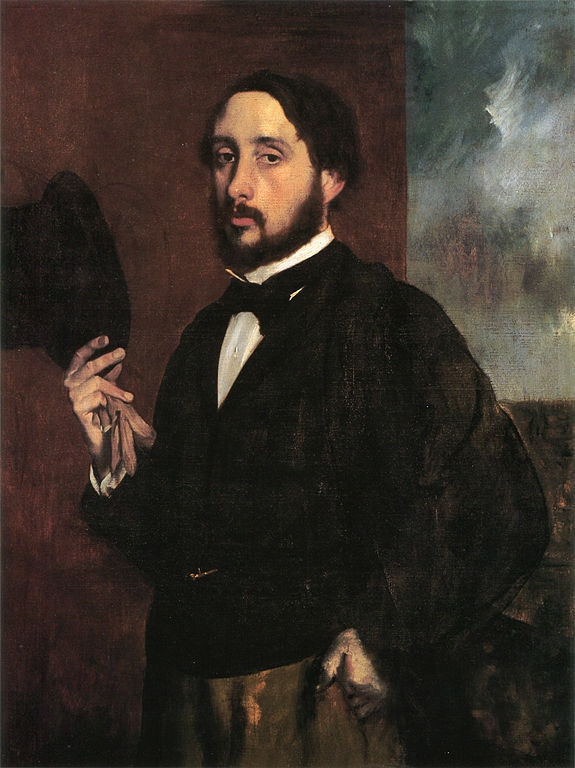 p. 333 – Degas in the Norton Simon Museum, 2009, II, n° 27, repr. p. 201 et fig. 29, p. 45. Grappe, 1908, p. 52 (repr.) – Morsell, 1931, p. 3-4, 15 (repr.) – Art News, 23 mai 1931 (repr.) - The Studio, 1934, p. 322 – Albert, 1934, n° 18 – Museum of Modern Art, 1934, p. 44, n° 26 – Barr, 1942, p. 35, n° 136 – Rewald, 1943, n° 53 – Rebatet, 1944, pl. 126 – Wilenski, 1944, p. 334 – Mauclair, 1945, (repr.) [n.p.] – Dumont, 1948, p. 28 (repr.) – Lemoisne, 1946-1949, III, n° 815, repr. p. 465 – Lassaigne, 1947, p. 31 (repr.) – Rich, 1951, p. 104-105 (repr.) – Fosca, 1954, p. 86 – Jourdain, 1954, p. 31 (repr.) – La Farge, 1965, p. 66 – Lemoisne, 1954, repr. entre p. 104 et 106 - Bouret, 1965, p. 196 (repr.) – Association of American Painters and Sculptors, 1972, I, p. 668 – Gordon, 1974, II, p. 260 – Lassaigne, Minervino, 1974, n° 912, repr. p. 127 – Steadman, 1976, p. 222 – Carandente, 1979, p. 15, pl. LVI – Lipton, 1980, Arts Magazine 54, p. 96-97, fig. 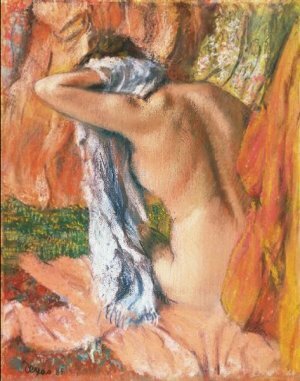 13 – Degas in the Art Institute of Chicago, 1984, fig. 89.1, p. 185 – Boggs, 1985, p. 27, fig. 19 – Lipton, 1986, p. 180-181, fig. 121 – Brown, 1988, p. 96, 260 – Gordon, Forge, 1988, p. 252 (repr.) – Thomson, 1988, p. 173, 183, fig. 179 – Rouart, 1988, p. 60 (repr.) – Armstrong, 1991, p. 197, fig. 103 – Schacherl, 1997, p. 107, repr. p. 125 – Rabinow, 2000, p. 10, fig. 9 – Hudson, Noonan-Morrissey, 2002, p. 119, fig. 6-2.